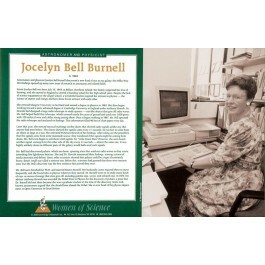 This poster of British astrophysicist Jocelyn Bell Burnell is part of a series that features great women scientists. 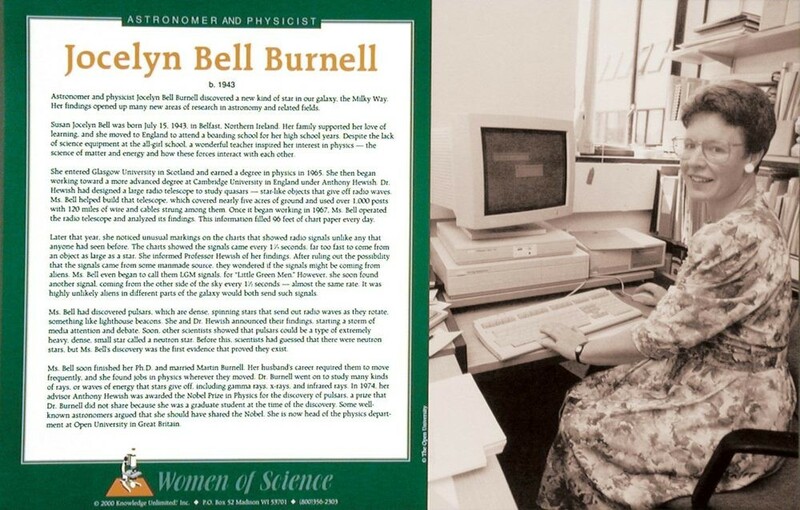 As a young post-graduate student in 1967, Ms. Burnell was credited, along with her thesis supervisor, with discovering the first radio pulsars. Her accomplishment was labeled "the greatest astronomical discovery of the 20th century."